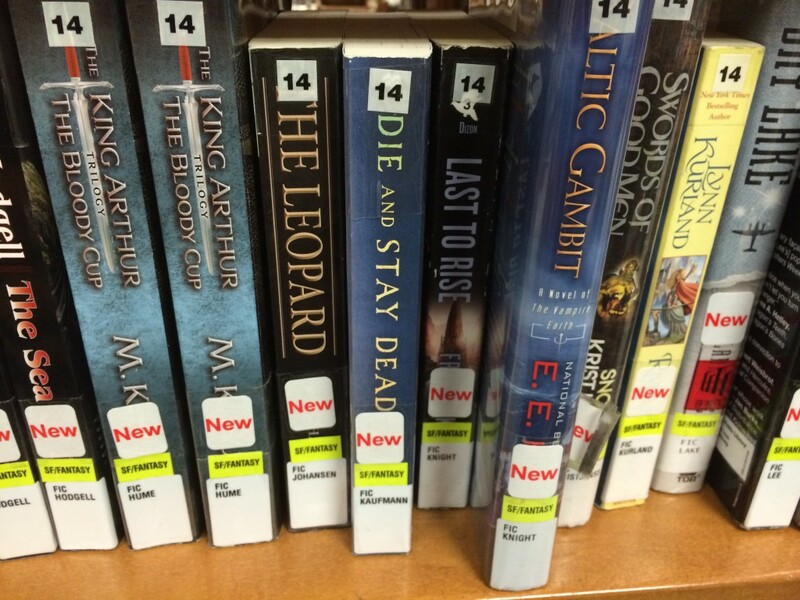 Die and Stay Dead spotted on the New Science Fiction shelf of the Brooklyn Central Library. Huge ChiZine Publications E-book Sale! All this weekend through Cyber Monday (12/1), über-cool sf/f/h publisher ChiZine Publications is having a massive e-book sale! All e-books are 80% off the cover price! This includes my Thriller Award-nominated and Shirley Jackson Award-nominated book Chasing the Dragon, which you can get for a mere $1.99! 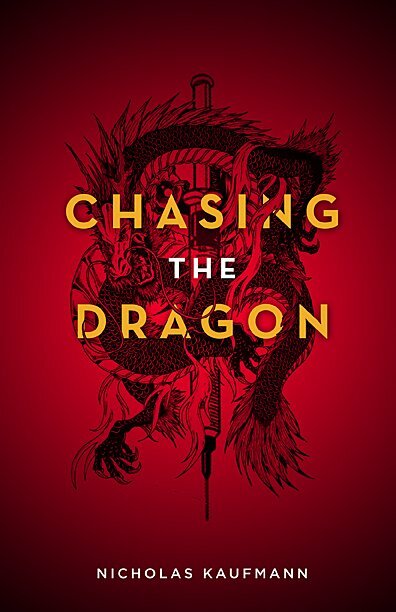 Already have a copy of Chasing the Dragon? All of ChiZine Publication’s e-books are DRM free, which means you can buy e-copies for all your friends and family for Christmas / Hanukkah / Kwanzaa / Festivus / Cthulhumas without worries! Chasing the Dragon already makes a fine stocking stuffer, but in e-book form it won’t even take up any space in the stocking! Thanksgiving, the holiday in which I routinely overeat myself into an early bedtime and then find myself somehow eating even more the next day, is upon us tomorrow. There aren’t a lot of preparations for us to make this year — we’re visiting family in Connecticut and eating at the Quinnipiack Club instead of at home — but the miserable weather conditions in the Northeast are bringing on all the stress we thought we’d gotten rid of by not having to plan the meal. So far, though, it looks like Metro-North will be okay tomorrow, and despite my usual, free-floating worries, I’m pretty sure all the roads in Connecticut, where they are forecast to get a lot more snow than we are here in New York City, will be plowed by the time we arrive. So what am I thankful for this year? Lots. As always, I’m extremely thankful for my loving, patient, funny wife, Alexa, who surprises me every day with how amazing and gifted she is. I’m thankful for all my family members, even the ones who drive me batty sometimes. I know how lucky I am to have them in my life, and when you boil it down, they’ve never been anything but supportive. I’m thankful for all my friends, near and far, the ones I see all the time and the ones I see only rarely. I’m lucky to have such a wide circle of friends, and I cherish each and every one of them. I’m thankful that I’m getting to live the dream I’ve had since I was young: to be a published author. I’m thankful for my amazing agent, Richard Curtis, who saw something in my work that he thought was worth representing even though his plate was already beyond full. I’m thankful for my editor at St. Martin’s, Michael Homler, who took a chance on a relative unknown. I’m thankful for everyone at St. Martin’s who’s got my back, from editorial assistant extraordinaire Lauren Jablonski to the marketing and publicity folks to the book designers to the sales force. It takes a village to make a book happen. In fact, I’m thankful for all the great editors and publishers I’ve worked with in my writing career, with special, well-deserved shout outs to the Canadians: Brett Savory, Sandra Kasturi, and Monica Kuebler. And finally, I’m thankful for each and every one of you who has bought one of my books, enjoyed it, and helped spread the word about it to your friends and family. Writing is a difficult and lonely endeavor — most of the time, it’s just you and your computer and loads of self-doubt (and also sometimes a cat or two) — and all of that effort and frustration would be meaningless without you. I treasure each and every email I get letting me know how much one of you has enjoyed my work. It reaffirms that I’m not just sending the words I sweated over out into an empty void, that I’m actually touching people’s lives, entertaining them, maybe even igniting a spark in their own imaginations to write their own stories. I’m thankful to all of you for that. I often say at my readings that we writers couldn’t do what we do without you readers, and I mean it wholeheartedly. Thank you. ONE SMALL, NEW ENGLAND TOWN IS TAKEN BY STORM — AND NOTHING WILL EVER BE THE SAME. Once upon a time, Coventry weathered a horrific blizzard, one that left many people dead — and others mysteriously lost. Twelve years later, the town is still haunted by the snow that fell that one fateful night…and now a new storm is on the way. Photographer Jake Schapiro mourns the little brother he lost in the storm and, this time, he will see another boy go missing. Mechanic and part-time thief Doug Manning, whose wife was never found after she wandered into the whiteout, is starting over with another woman — and more ambitious crimes. Police detective Joe Keenan has never been the same since that night, when he failed to save the life of a young boy…and the boy’s father vanished in the storm only feet away. And all the way on the other side of the country, Miri Ristani receives a phone call — from a man who died twelve years ago. Old ghosts are trickling back to life as a new threat rolls in. Could it be that this storm will be even more terrifying than the last? There’s a scene near the beginning of Snowblind that some of my local friends and readers have heard me read at several signings. Though I’ve read other scenes publicly, this is the one that I keep coming back to again and again. A boy named Jake wakes during the night in the room he shares with his little brother. He glances over to see that his brother is not in bed. Instead, the little boy — Isaac — is standing by the window, looking through the frosted, snowy glass at the blizzard raging outside. When Jake tells Isaac to go back to bed, Isaac can’t tear his gaze away from the storm. “There are monsters in the yard,” he says. Growing up, my brother Jamie and I shared a room for years. First the smallest of the bedrooms on the second floor of our split level home, but later — after our older sister moved out — a larger room at the front corner of the house. In a storm, the wind would blow hard enough that branches from a tree just outside would sometimes scrape against the house or make long-fingered shadows at the window. When the wind howled and the house creaked and the tree scraped the house, I would huddle deeper under the covers in a state of delicious fear, a frisson of terror that felt just a fractional, emotional twist away from glee. Jake and Isaac are partly Jamie and me. You can see it in the irritated, impatient big-brotherness of Jake (sorry Jamie), and the kind of innocently fearful wonder of Isaac…right before something terrible happens. But there’s another vital influence in this scene, a very specific one. 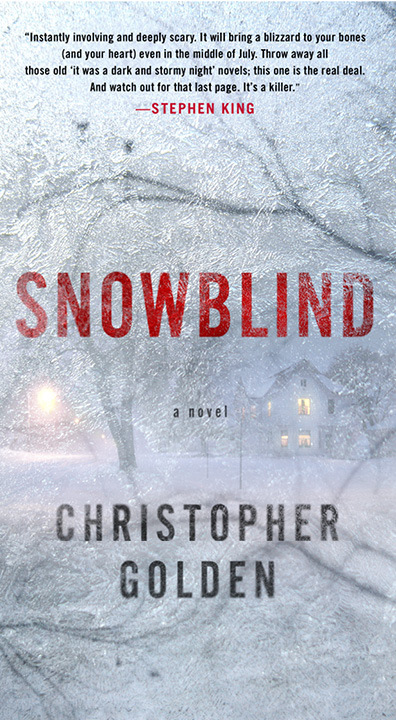 Many readers have rightly pointed out — and I’ve discussed in interviews — the huge influence of Stephen King on me as a writer and on Snowblind in particular. In fact, Snowblind is an homage of sorts to all of the wonderful small-town horror stories I read in the 1980s (some of them from the 1970s). The novel that most inspired me, however, is King’s ‘Salem’s Lot, with its interweaving of the relationships of an ensemble of small-town residents. In this particular scene — the scariest part — I couldn’t help channeling my own childhood sharing a bedroom with my brother, as well as the fears of my youth. But the scene is also enormously influenced by Danny and Ralphie Glick from ‘Salem’s Lot. Perhaps because I shared that room with my brother, the relationship between Danny and Ralphie felt profoundly real to me. The scene when vampiric Danny comes to Mark Petrie’s window is one of the most vividly chilling passages I can remember reading. You won’t see the Glick brothers — or the Golden brothers, for that matter — in that scene from Snowblind. In the mental landscape I create for myself while writing, those boys were always Jake and Isaac Schapiro. I honestly don’t think the scene would have worked, otherwise. I want you to be afraid for these little boys, frightened in the dark with the blizzard roaring outside and monsters in the yard, and if reactions to my public readings of that scene are any indication, it works its dark bits of magic just as I’d hoped. I wrapped up my childhood fears in a little box, and now they are my gift to you. One last note. These days, another family lives in the house where I grew up. Shortly after they moved in, they cut down all of the trees and pulled up all of the bushes in the front of the house. I wonder if it was because of that dreadful scraping and the long-fingered shadows of the branches. 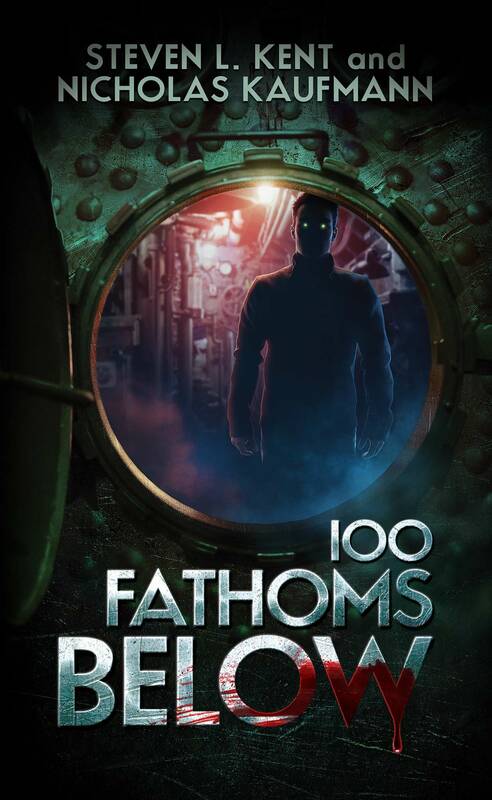 Christopher Golden is the New York Times bestselling, Bram Stoker Award-winning author of such novels as Snowblind, Of Saints and Shadows, The Myth Hunters, The Boys Are Back in Town, Strangewood and the upcoming near-future thriller Tin Men. He has co-written three illustrated novels with Mike Mignola, the first of which, Baltimore, or, The Steadfast Tin Soldier and the Vampire, was the launching pad for the Eisner Award-nominated comic book series, Baltimore. 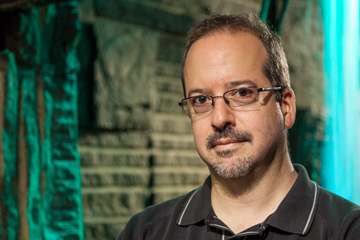 As an editor, he has worked on the short story anthologies The New Dead, The Monster’s Corner, and the upcoming Seize the Night, among others. Golden was born and raised in Massachusetts, where he still lives with his family. His original novels have been published in more than fourteen languages in countries around the world.